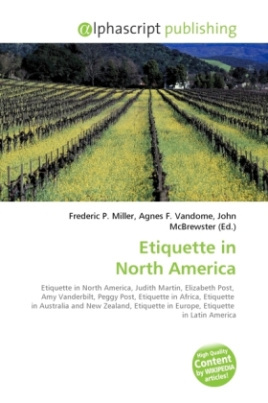 Unlike in cultures with formal class structures, such as those with nobility and royalty, etiquette rules in the United States and Canada are meant to apply to all.Etiquette rules are not uniform in North America, varying among the very diverse societies which exist in both the United States and Canada. Judith Martin (a.k.a. "Miss Manners") states that even within the United States, "while the principles of good manners are universal, the particular way in which they are expressed, namely the etiquette rules, differ widely from place to place and situation to situation. "Both Canada and the United States share cultural and linguistic heritage originating in Europe, and as such some points of traditional European etiquette apply to both, especially in more formal settings and wherever European culture is strongest.Among the most prominent writers on North American etiquette are Letitia Baldrige, Judith Martin, Emily Post, Elizabeth Post, Peggy Post, Gertrude Pringle, and Amy Vanderbilt.